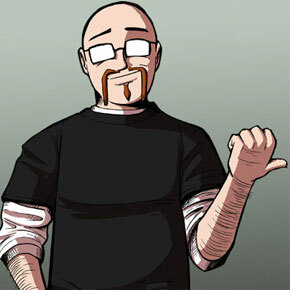 Doug Hills is a comic artist, founding member of Ten Ton Studios (http://www.tentonstudios.com), and author of Manga Studio For Dummies. His online comics include Place Name Here and Chibi Cheerleaders From Outer Space, which can both be found at http://pnhcomics.com. Originally from Chatham, NY, he's currently residing in Logan, UT with his wife and daughter, and continues to churn out art.